auspOp favourites Client Liaison have today confirmed that their debut album ‘Diplomatic Immunity’ will be released in November. The boys have popped up regularly on our pages since 2013 and have amassed an ever-growing legion of supporters across the country, thanks to their special blend of electronic pop. They’ve also delivered one of our personal favourite tracks of the year thus far in ‘World Of Our Love’ and have just dropped the video for new single ‘Wild Life’ to help celebrate today’s announcement (see below). “This video is dedicated to the hard working men and women of the Australian Tax Office,” Director Tim White explains. “These brave public servants truly keep our great island nation afloat. 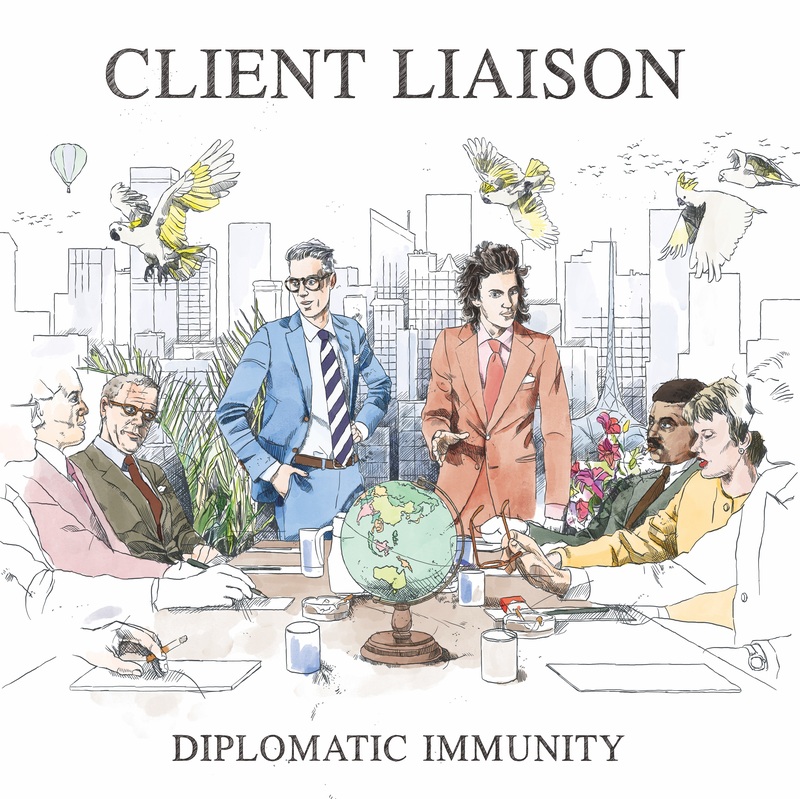 As for the album… ‘Diplomatic Immunity’ comprises 11 tracks in total and features a number of collaborations, none higher in profile than Tina Arena, who provides guest vocals on ‘A Foreign Affair’. Look for it at your favourite retailer (and board meeting) from Friday November 04.